We offer breath taking panoramic mountain views for our guests to enjoy. Make sure to get a trail map from the office, saddle-up and let your trail riding adventure begin exploring the Kiamichi Mountains from the back of your horse. Are you ready for some REAL Mountain Horseback Trail Riding? 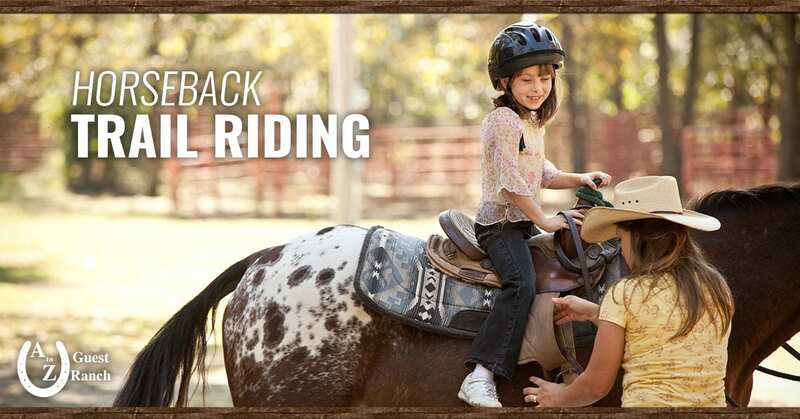 Due to insurance regulations, children under the age of 6 are NOT allowed to ride on our horses. *Full one-hour trail ride that will take you through the timber and all around the mountains. A fantastic clear cut view! *Full two-hour trail ride that will take you through timbers, climbing up and down steep mountain trails and through creek beds. Incredible Mountain Views! *Full three-hour trail ride that will take you through timbers, climbing up and down steep mountain trails and through creek beds. The mountain views are incredible! *Full 4 hr trail ride that will take you through water, timbers, climbing up and down steep mountain trails. The mountain views on this ride are panoramic!! Bring your camera! We are open year around for Trail Riding by Reservations only! At the time your reservations are made we will need a current MC/Visa/Discover/AMEX Credit Card with Exp date. The Credit Card on file with us will be charged in full the total amount of the trail ride on the morning of your trail ride. ALL HOLIDAY and WEEKEND trail rides MUST be paid in full at the time the trail ride is confirmed. No refunds will be made on trail-rides after the credit card has been processed for payment. Because we work on a RESERVATION ONLY policy: If you show up late for your reserved trail ride time, your trail ride will be cut short, to stay on schedule. NO refund will be made for the time difference. *Larger groups, we might have to split up your group into a couple of different time slots. We can only take 10 riders at a time!